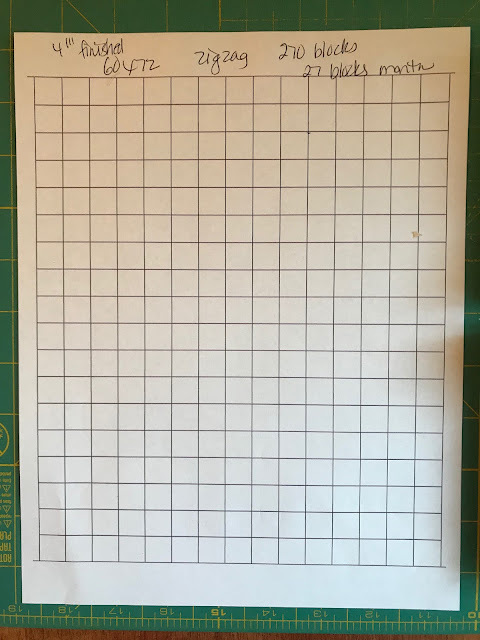 Stringalong 2019 Month 1 Linky party! Here we go! 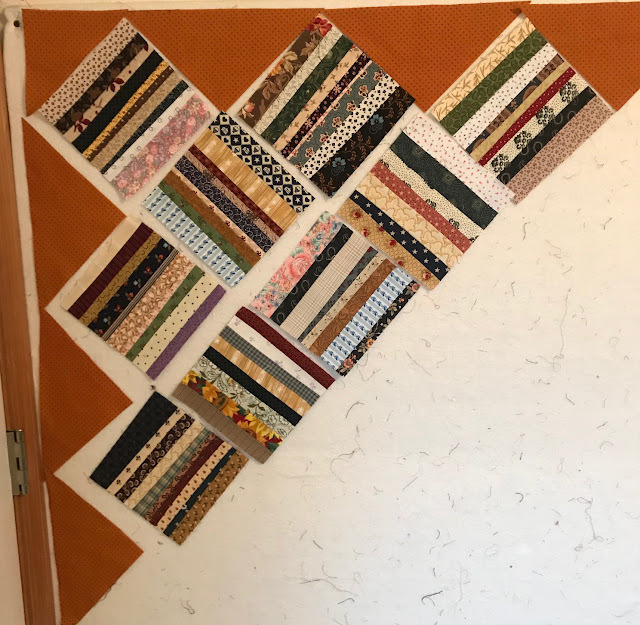 I can't wait to see all the creative unique quilt blocks!! Here are most of this months blocks. 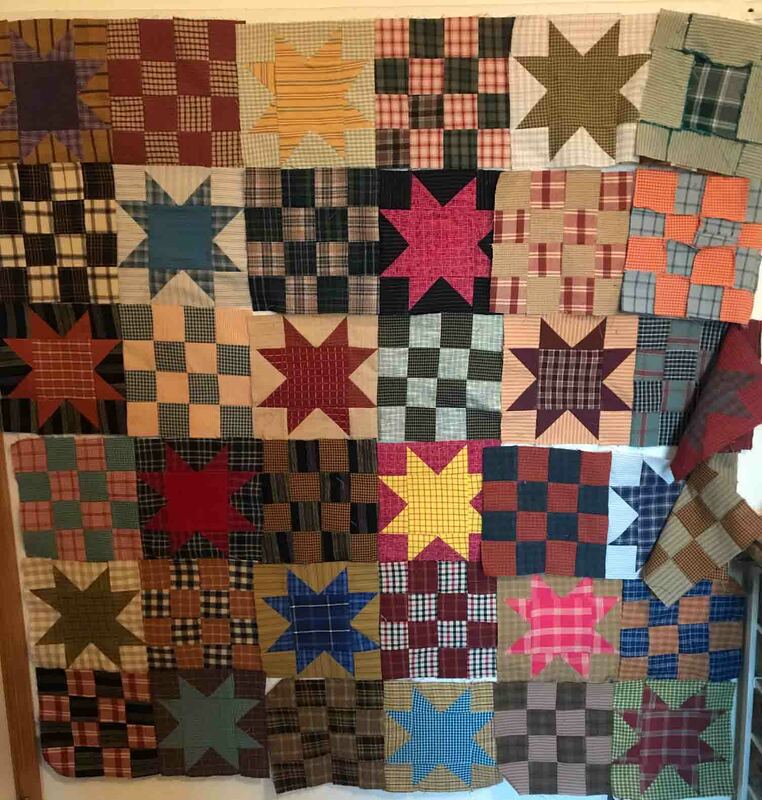 In order for my quilt top to be completed in October I need to make 27 blocks a month. My plan is to tear off the paper and sew them together in groups of 25. DONE! 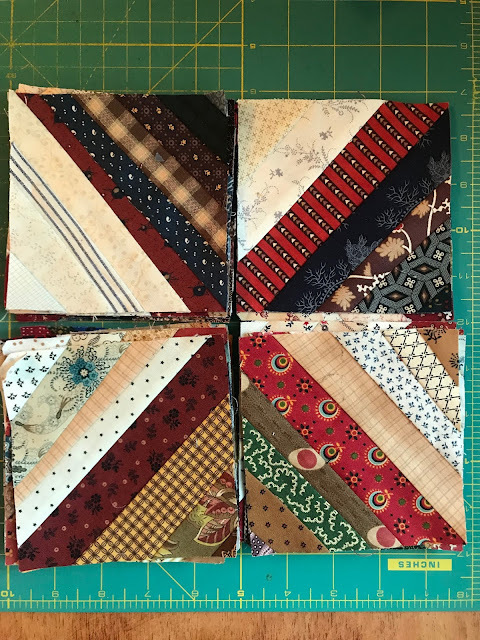 My friend Linda gave me many of these 6" string blocks. I need 10 a month and will set them each month. Here's my layout. My setting fabric is a dark cheddar. 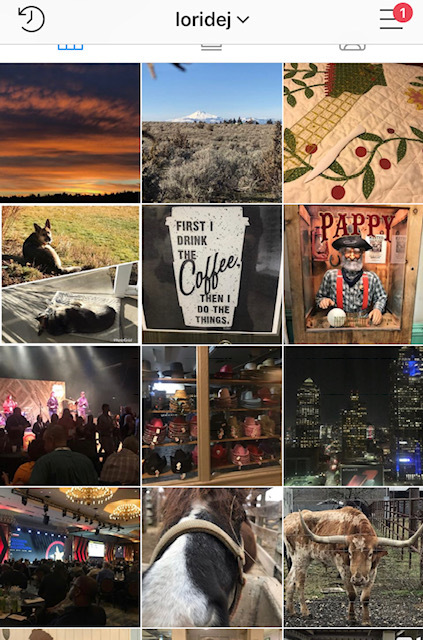 If you do not have a blog or instagram and want to link up, feel free to email me a photo and I'll add it. 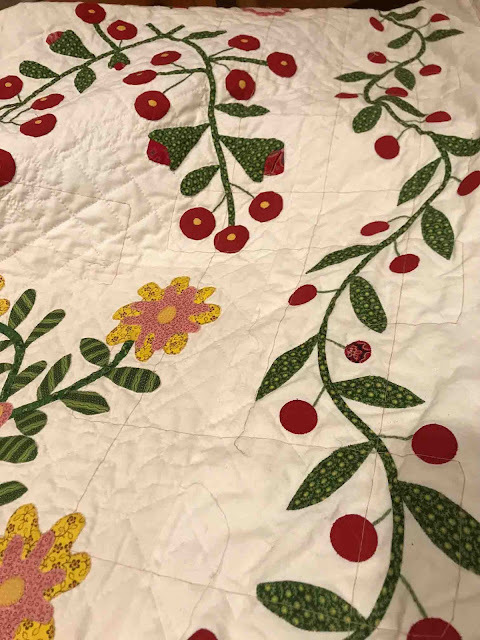 I want to give everyone a heads up on all the fun quilty things going on this late winter and spring on Humble Quilts. Jan 30th Stringalong Linky party- share what you've accomplished this month! Feb 18-22 Book sale! 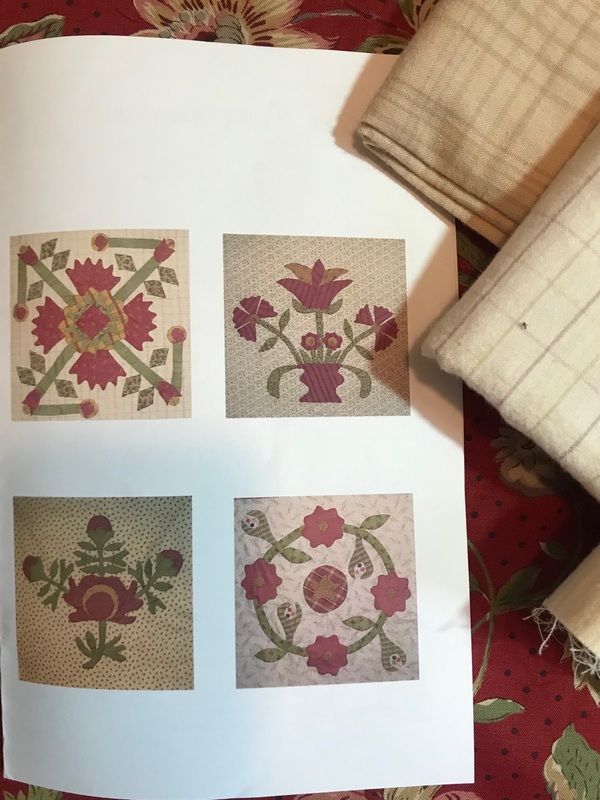 Lots of terrific books and patterns have been donated to me for my mission trip fundraiser. Until I get them all photographed I won't know how many posts I'll need. I'm thinking 3. March 1st- First installment of Cheri's Sweet Land of Liberty quiltalong. We did this last year but at the request of Cheri's facebook group I'll be doing it again. If you didn't get yours completed you can jump back in! 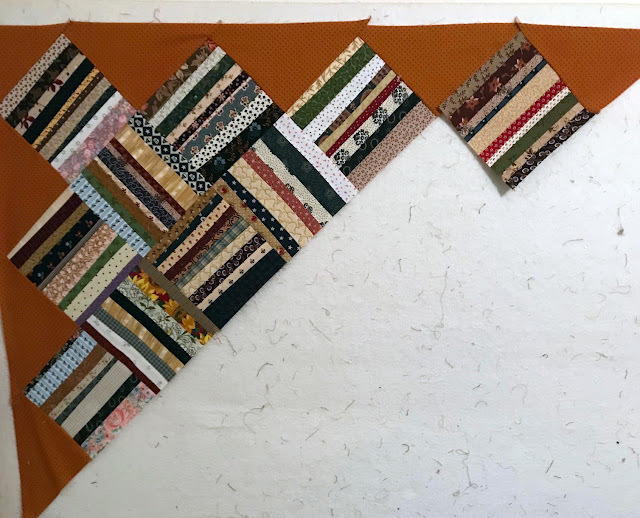 March 11- First call for 6th annual Humble Quilt small quilt swap sign ups. To be a participant you must be active on the facebook group or regularly leave comments on my blog. 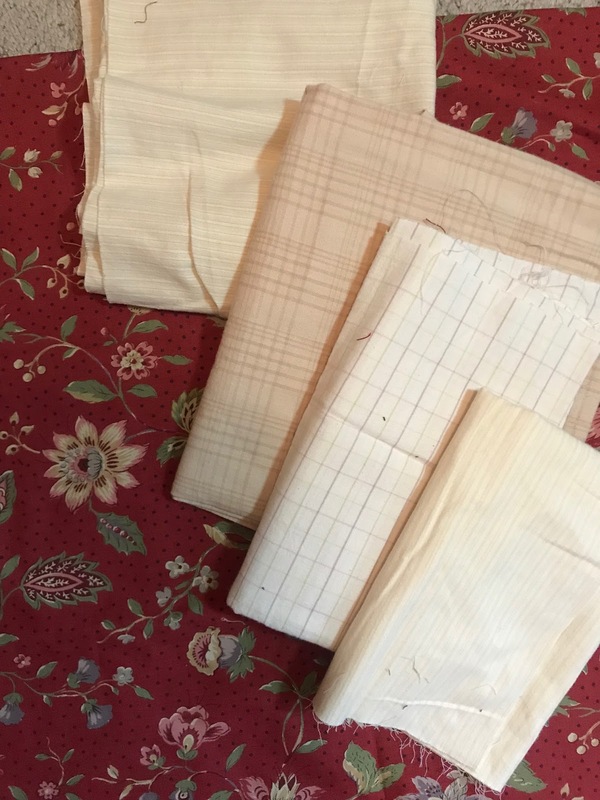 PS, I've started looking for my little quilt swap project! March 23- LaConner Quilt Museum and possibly lunch. If anyone in the area is up for a hike, weather permitting, let me know! 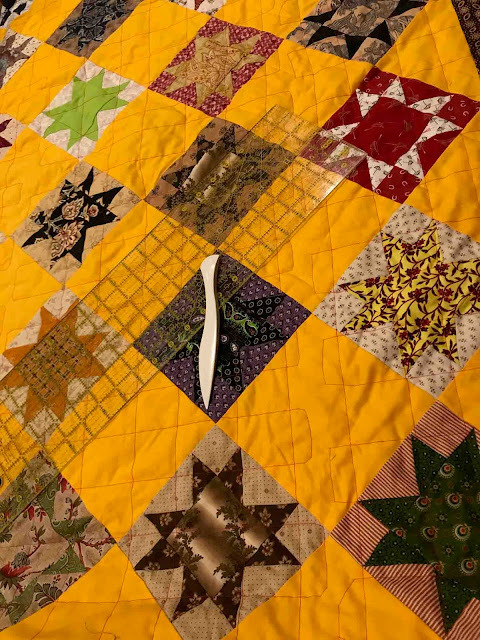 April 25-Boise Basin Quilters- I'm lecturing! 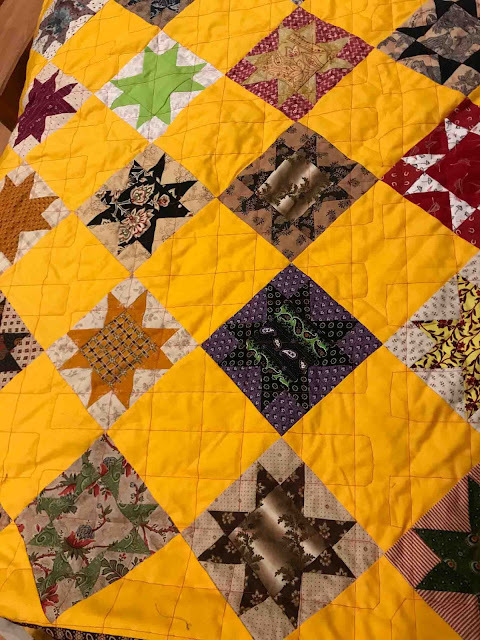 And just because I cannot have a blog post without a quilt photo! My stars in a time warp quilt. Barbara Brackman did this as a sewalong, learning about fabric and styles in 2015. I've never been known to be a fast quilter!! LOL It's been basted for awhile and I finished marking it one direction last night. I'm going to do a simple cross hatch. I have it marked one way, and when it is quilted I will remove the basting and mark it going the other direction. 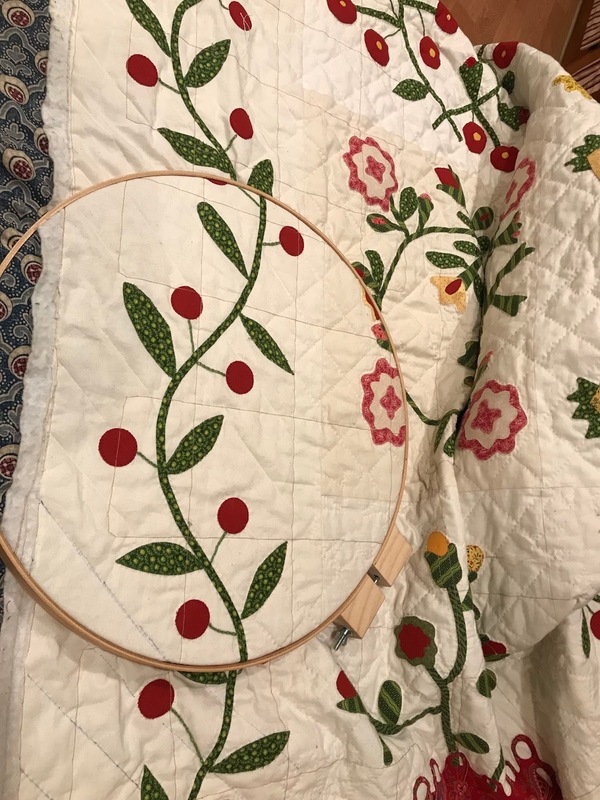 I told my friend last night I'll try and get it completed in 2 marathon machine quilting sessions. I've also finished marking the border one direction as well on my Cherry Tree quilt. My wrist is really giving me a hard time, so hand quilting may be set aside for awhile. 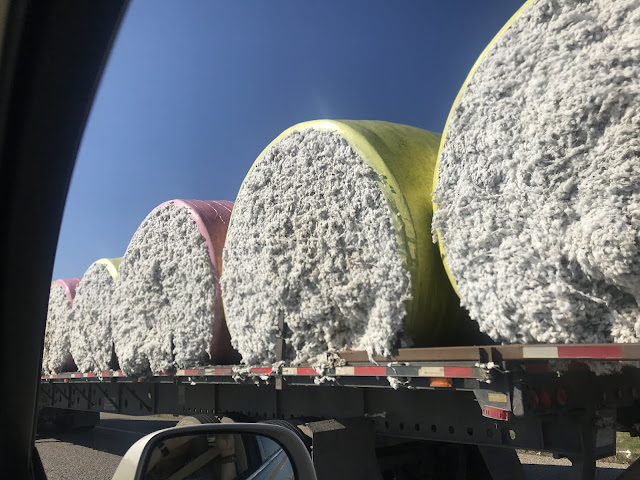 I thought a week off in TX would help, it didn't. 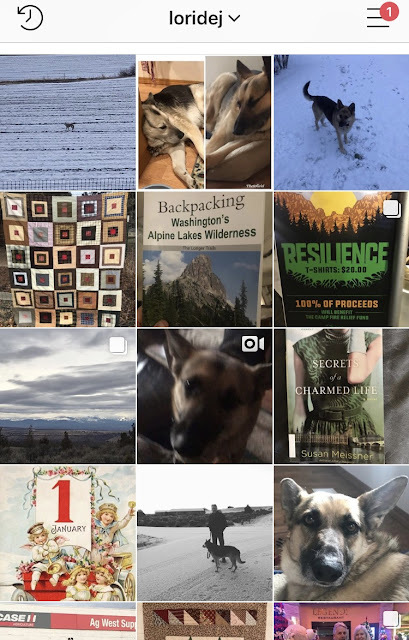 Here's my Instagram feed for the week. It was such a beautiful day yesterday I had to get out and enjoy it. I mentioned a while back that I was going to work on this quilt this year and several of you wanted to join in!! YAY! Here is Jan Patek's version using her fabric. As you can see there is 4 designs, she made 3 of each one. ZZZZ that doesn't usually float my boat, so I'll make one of each since these are 20" blocks and can stretch it to make it a tad larger. I found this lovely French General fabric in Texas and thought I would use it for the border. I'm going to use my homespuns for the applique background. Here are the four blocks. I propose we start with the Upper left Whig Rose block. We will check back in on our progress the end of February. In one week we will have our first Stringalong linky party!! 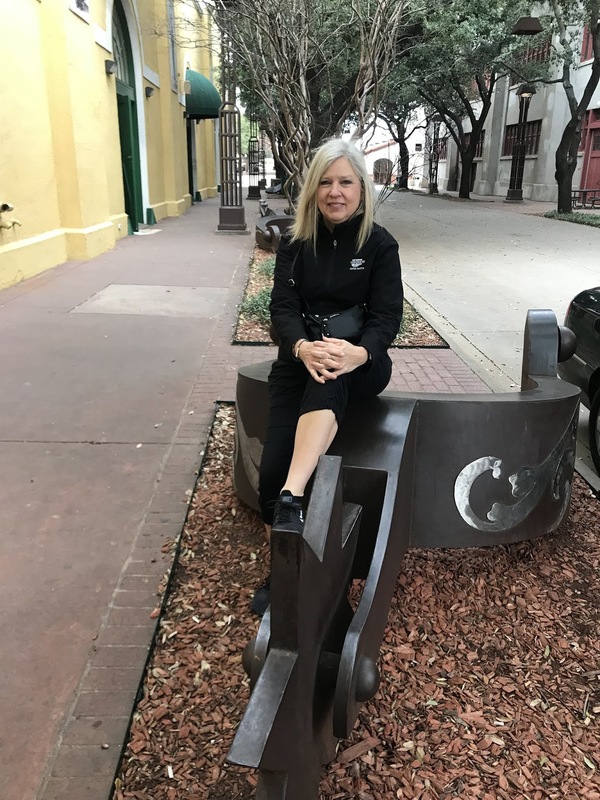 Thank you Texans for an amazing week! People were so friendly and kind and I tell ya', that goes a long way in my book! We arrived late because of a delayed flight so our drive to Victoria was quick- no stopping along the way. (It was also Sunday morning and with the amount of churches we saw I believe that is where folks were!) 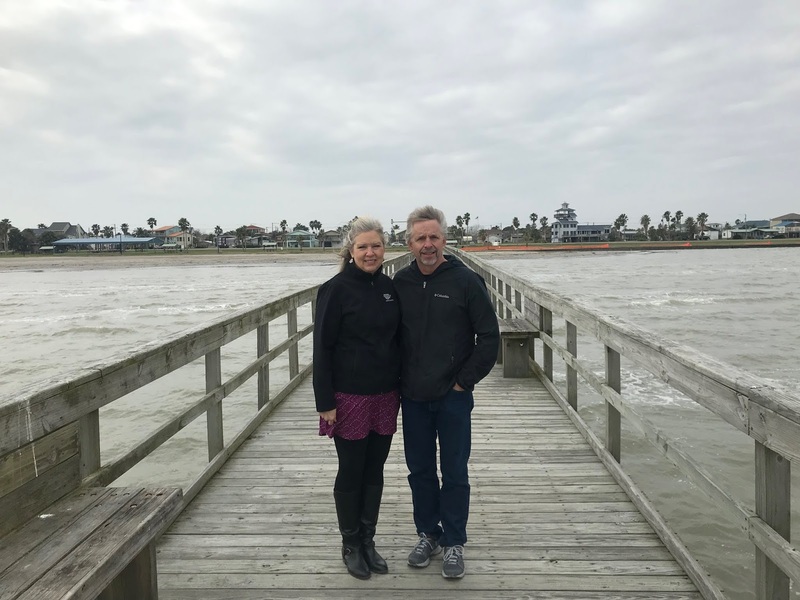 We wanted to be able to get together with our friends when Debbie's hubby wasn't working and when we had a window of decent weather for fishing. I shared a few of those photos last week. 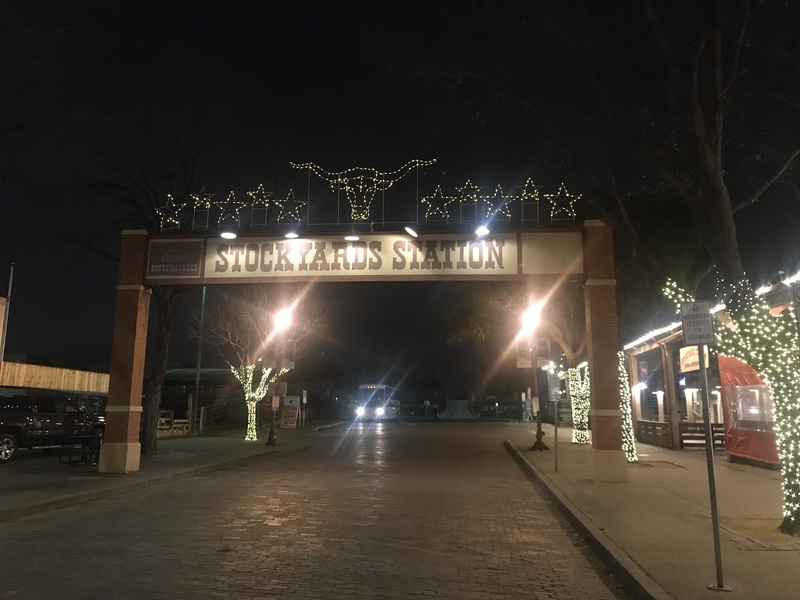 We were able to take our time back to Dallas so we enjoyed a few small town stops on the way. If you guys saw my courthouse you'd know why I love these! We just rebuilt and they tore the old one down. Rip it out, tear it down seems to be our town leaders motto! I found Sasquatch at a coffee shop in Shiner! There was a young lady in there who went to college with my son and his girlfriend in Oregon! I took a photo of us together and text it to them! Small world, right? Had delicious barbecue at Blacks in Lockhart. The first quilt shop I stopped at was Holly Dee Quilts in Luling. I didn't get any photos but they were so sweet! 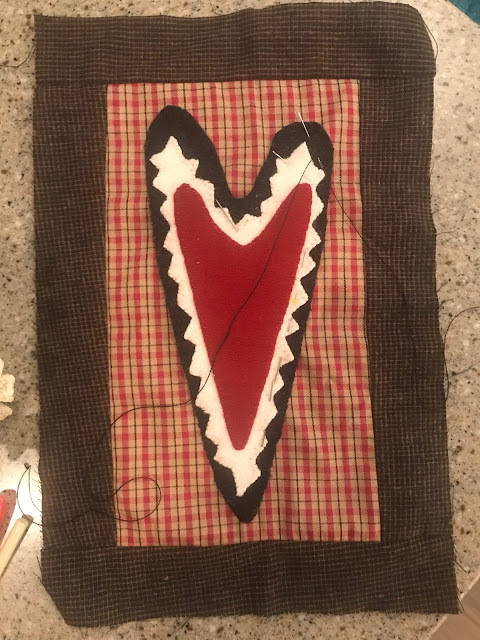 I needed a little backing for my wool appliqued heart, so after I found one, they ironed it and cut it to size for me! Debbie had taken me to this shop last spring. 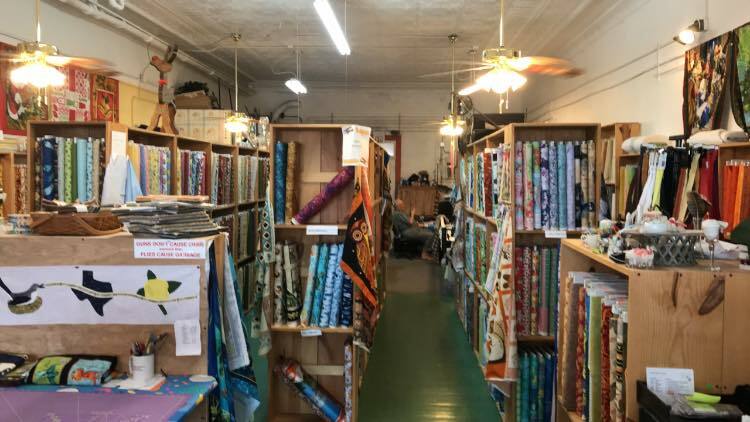 This shop was called Simple Sewing Solutions in Lockhart. The woman does alterations as well. I could tell I was going to be here awhile so I sent hubby on his way around the block to window shop. They may not be the fastest but the woman was very sweet. She gave me a discount when I told her I was posting/ tagging the shop to my Humble Quilts group. 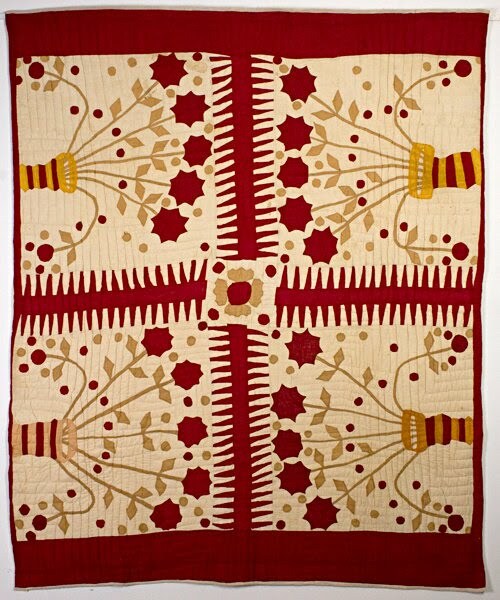 I found a terrific red floral that I will be using as my border fabric for the Spencer Museum quilt. (photo below) If you look closely you can see a man in the back. I assume it is the husband of the owner- he was enjoying a tv show! Gerlines Quilt Shop in Giddings TX is still in google and her signs are all over the highway. She now only does longarming but was very sweet and told me that she also hosts a group once a week that quilts a lot for charity. Look at this unassuming little house in Giddings, TX! Surprise! its a quilt shop! Chock full of lovely fabric! This is what it looks like when you enter the front. Again, the folks were super sweet and friendly! And we found one more in Rosebud. They had a really cute space with a coffee shop next door. Those few stops yielded a bit of fabric. Space in my suitcase was sparse. We'd been looking for longhorns all along our route and finally found some! They came over to the fence to see me!! Someone had mentioned she was a bit thin, and she was, but she was also caring for a baby. 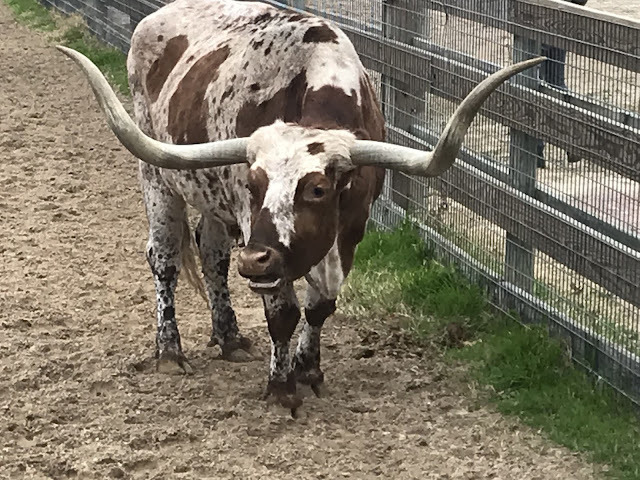 Did you know longhorns can be male or female? Thanks for coming along my little trip to Texas! It was so fun to see more of the area. Now it’s all business. We’ve had a blast! Trucks of cotton! 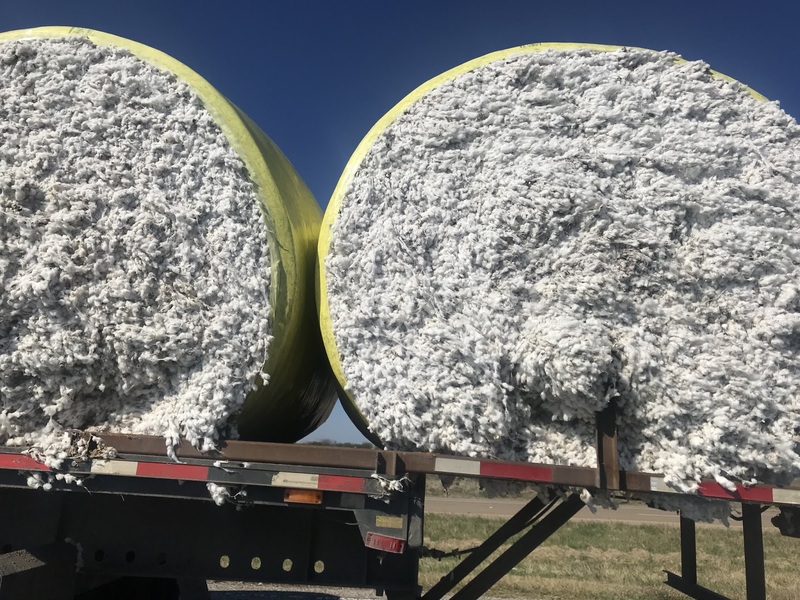 Maybe this will be turned into fabric for your next quilt! Cheri Payne was so generous with her patterns and this is a little one called Bless Your Heart. I saw this version by Kelley Belfast and loved it so much I asked if I could copy it. I looked for a hand project to bring to Texas and this is what I chose. I love wool applique and do a simple whip stitch. I'll grab a scrap of batting when I'm back at Debbie's and stop by a quilt shop and pick me up a little piece to back it. I'll likely have it finished before I get home. We are having a lovely time with our friends although I underpacked warm clothes! When I am in Houston in November it is very warm I'm so glad I brought my down jacket this time!! 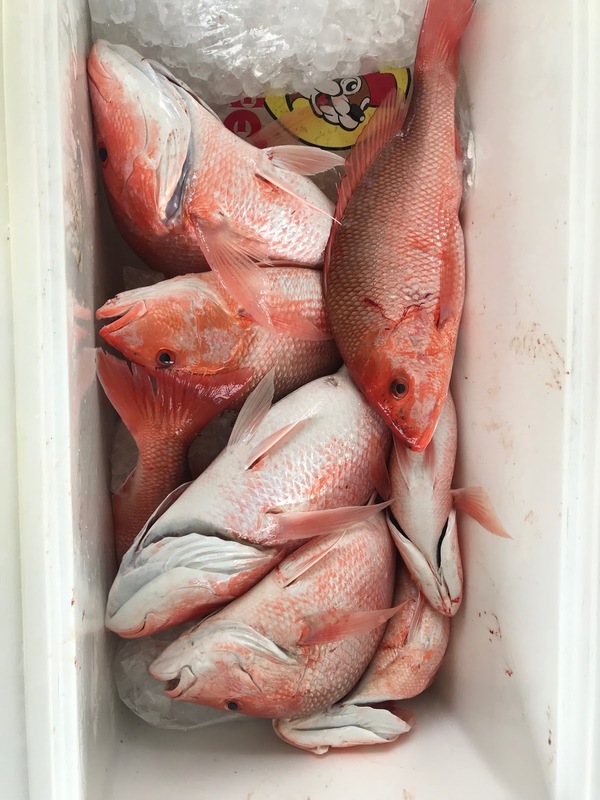 Here's a sneak peak on our fishing trip Tuesday on the Gulf. We had an amazing meal last night including this fresh snapper and boudain balls! 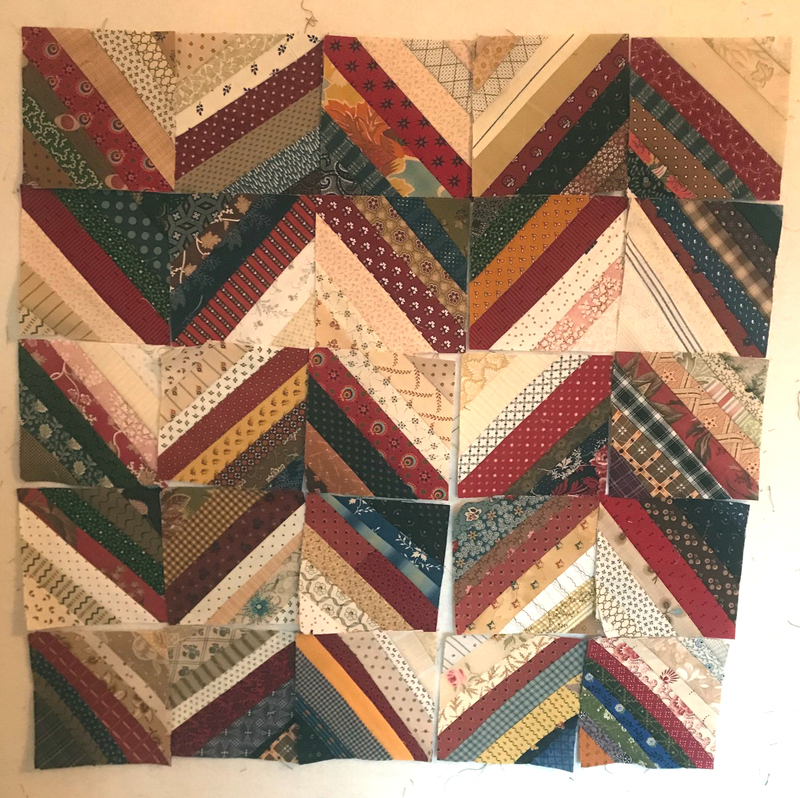 I'm slowly getting the Lincoln Museum quilt blocks put together. I used them as a leader/ender of sorts while working on the quilt for Diane's blog hop book quilt. 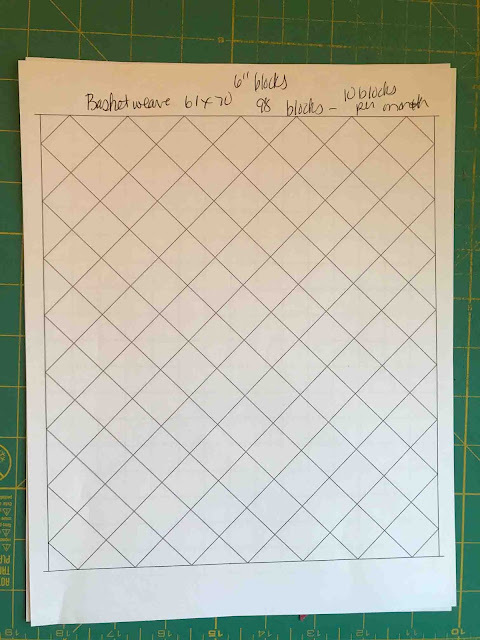 I won the pattern and a box of plaids from Barbara Brackman. 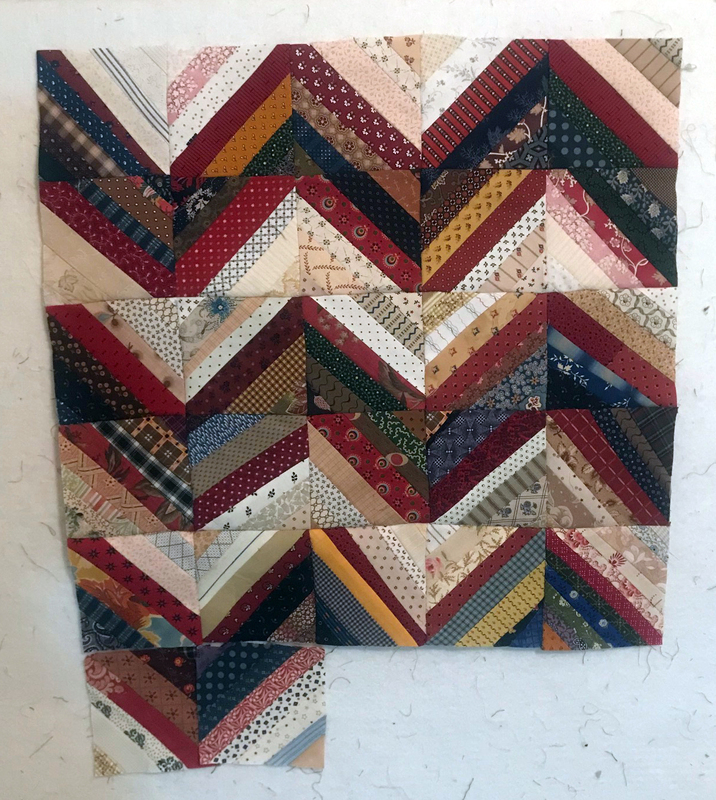 I am hoping to get the quilt completed and it can make the rounds with my guild lecture this year- "Reruns, Quilts Inspired by the Past." BTW, I'm available! Contact me if you are interested in having me speak at your guild. 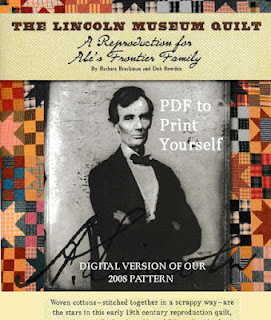 About ten years ago Deb Rowden and I wrote to the Lincoln Presidential Museum in Springfield, Illinois, telling them that the vintage quilt covering young Abe Lincoln's parents’ bed in the cabin exhibit was an anachronism---vintage, but the wrong vintage. We were thrilled when they took us up on our offer to make a reproduction quilt more in keeping with the time period. We made a quilt for the bed there. And if you'd like the pattern it is available as a download. HERE. 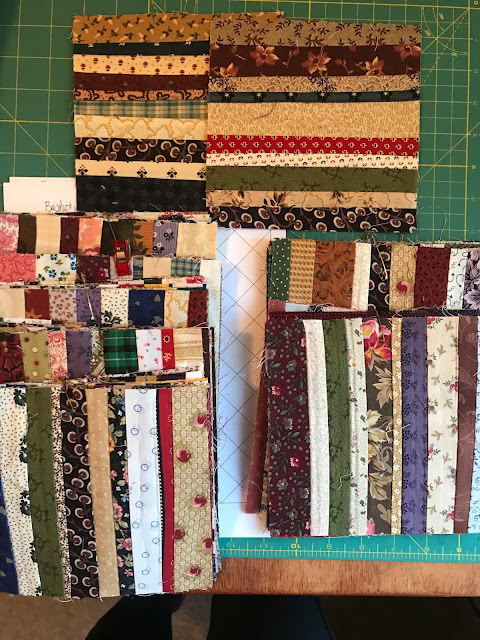 Friday Fun- String Quilts and Book Winner! Here we are mid- month. How are you coming on your string blocks for this month? 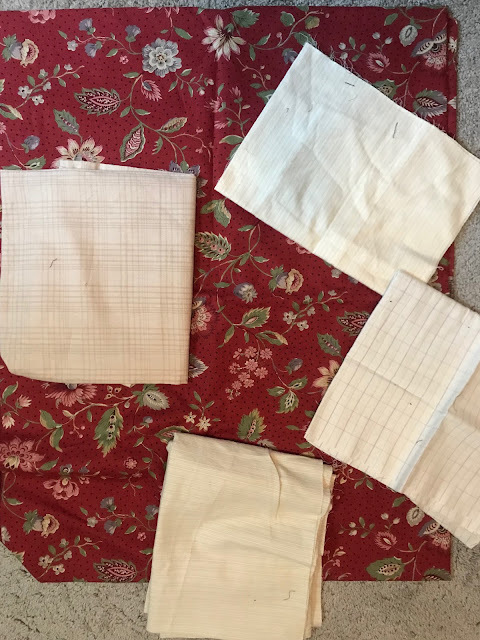 A friend gave me these several months ago and when I asked her what her plan was she said it was a Bonnie Hunter pattern on her blog. Well, I don't know if this was her plan, but I'm going to make the basketweave quilt. You can see Bonnie's HERE. 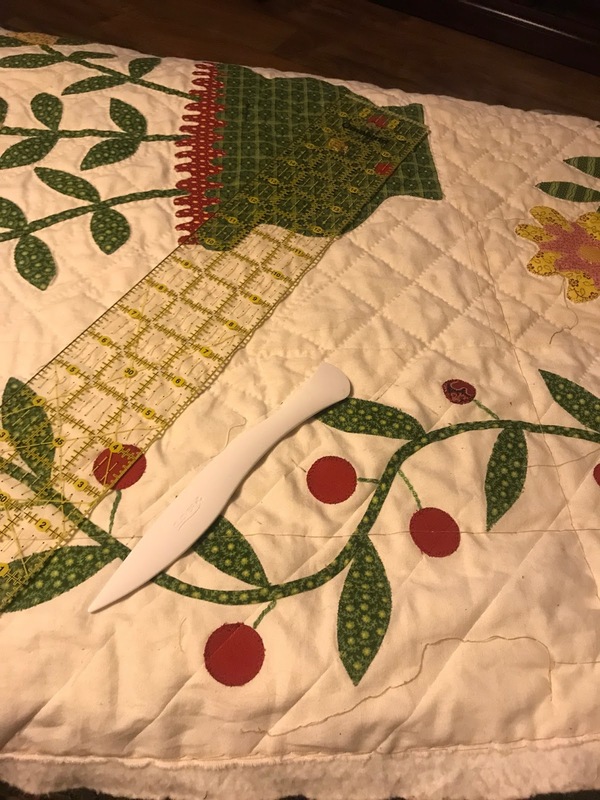 I drew it up in Electric Quilt and made my plan. I need 10 a month to have what I need by October, but she gave me 72 blocks and all the paper was even removed! (maybe there wasn't paper to start with) So I only need 26 blocks for this one. I do have a hunch I'll be stringing a third quilt at some point. I started making these 1 year ago and you can see my setting plan HERE. 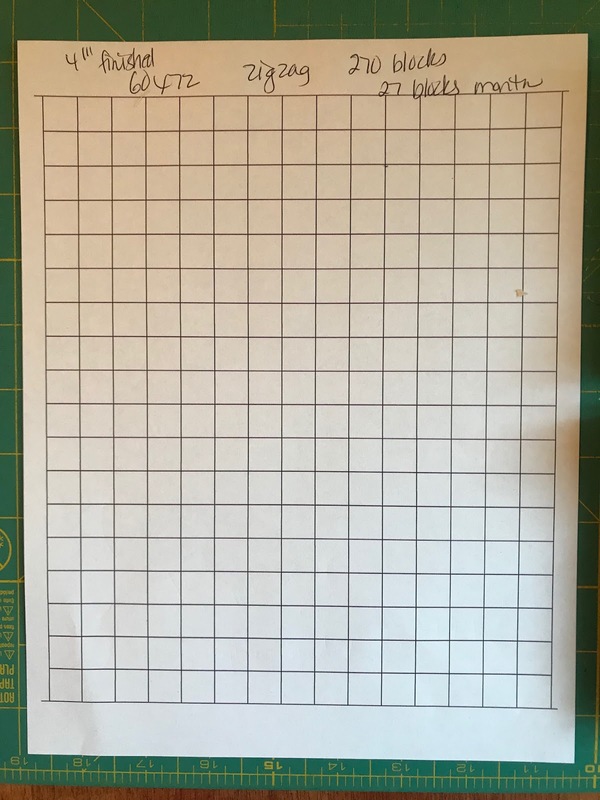 I have removed all the paper from the 27 blocks I am making in January. If you are using paper foundation you may want to remove them monthly as well, so it's not such a big chore at the end. My Instagram feed for the week. We got our first and second snow, but it didn't amount to too much. Attended a beer fest as a fundraiser for Butte County CA and started planning a few backpacking trips for this summer. Loved the book, Secrets of a Charmed Life! Such great comments! We have a winner!! Comment 73 was Joyce LM. She has been contacted. Thanks for the terrific comments! So many of us save strings and strips- now lets get them made into quilts!